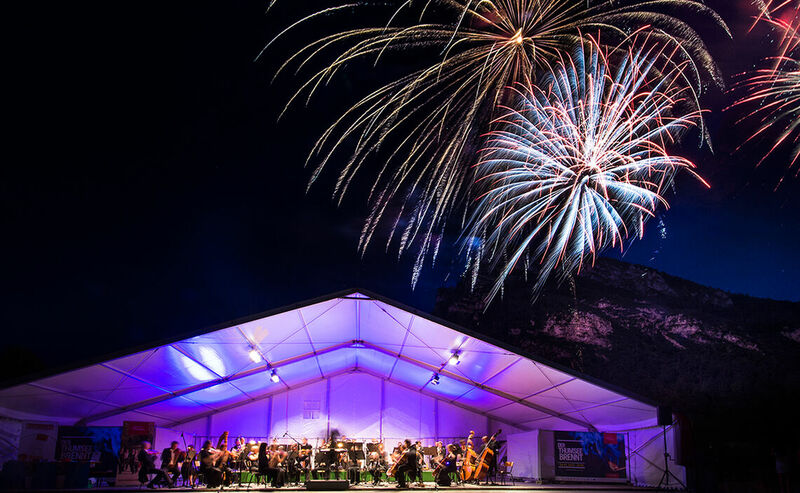 The Alps offer plenty of high places but only one unique highlight: Thumsee is on fire!Bad Reichenhall’s Philharmonic Orchestra performs a summer night concert that also features grandiose fireworks against an impressive mountain backdrop. Each year the event attracts as many as 7,000 fans from near and far. Under the leadership of the conductor Christian Simonis, famous, up-beat and moving melodies are performed before a background of breathtaking alpine majesty. 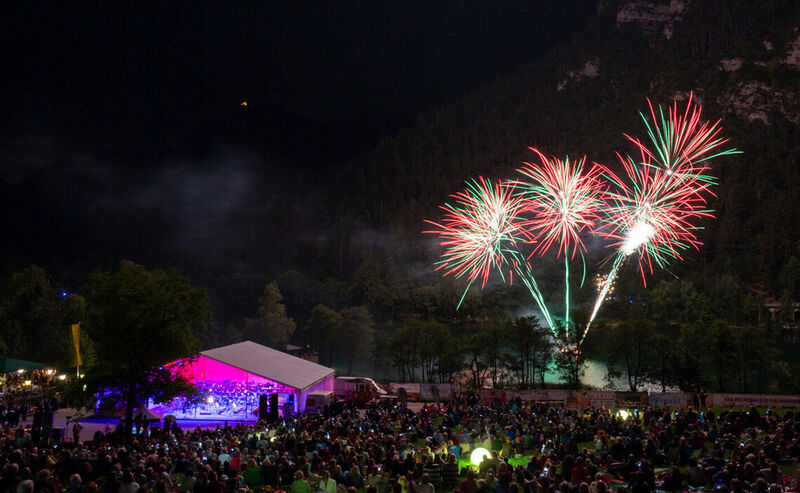 Thumsee brennt – Thumsee is on fire – is the annual cultural highlight of the Alpine Town of Bad Reichenhall. 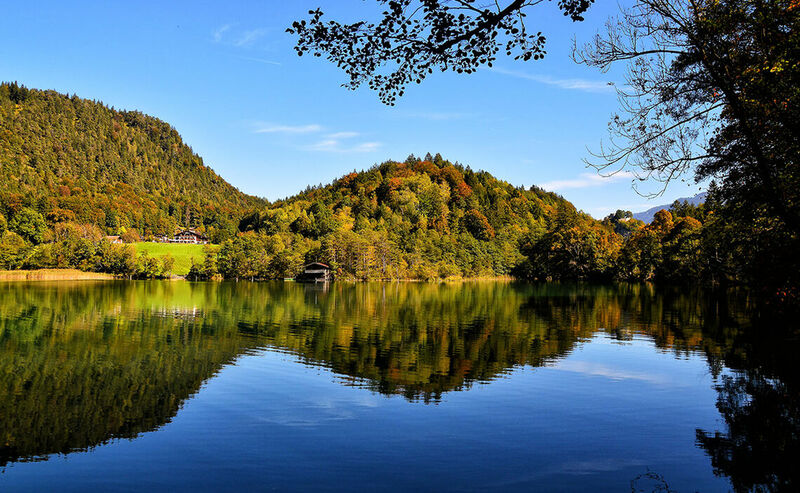 The setting sun bathes the lush mountain meadows and shimmering Lake Thumsee in soft gold. The view opens up toward Mountain Predigtstuhl and its surrounding peaks and forested slopes. 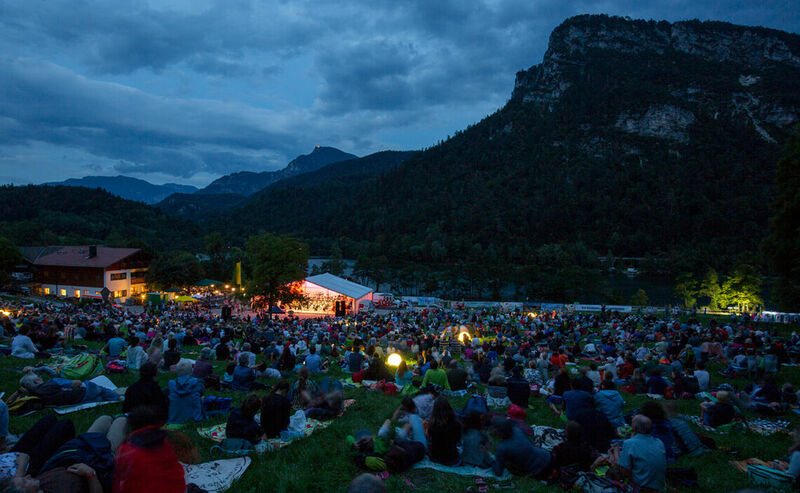 This is the idyllic setting for the open air stage that, for over ten years, has been drawing fans of what must be Bavaria’s most spectacular music venue. 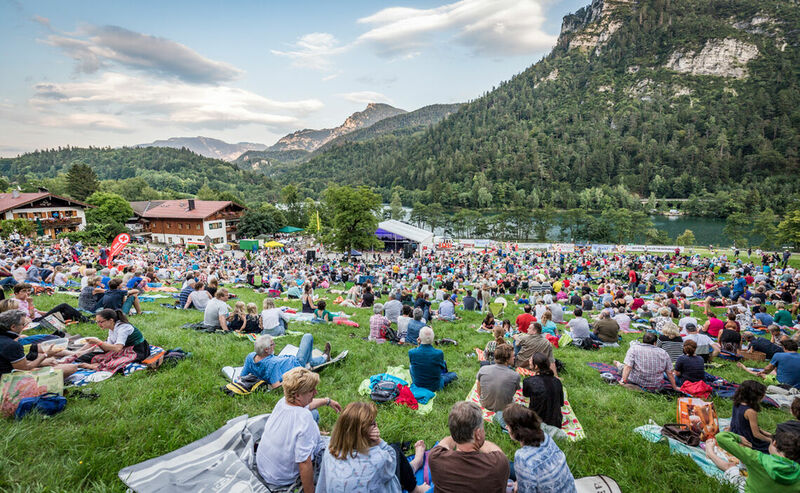 Like a Greek theater, the Madlbauer meadow rises in the heart of an enchanting landscape that every summer becomes a concert hall. the summer night bursts to life with the flare of colorful showers from the firework display. Due to the lack of parking available at Thumsee, free buses start shuttling from Bad Reichenhall’s Festplatz and from Nonner Strasse, ensuring a stress-free return as well. Experienced concert-goers often bring a picnic basket to the event, as well as a blanket or cushions to sit on comfortably. They arrive early to find good spots at the festively illuminated Madlbauer meadow. Of course the eateries at Thumsee do their part in making for a successful event, but advance reservations are a must.